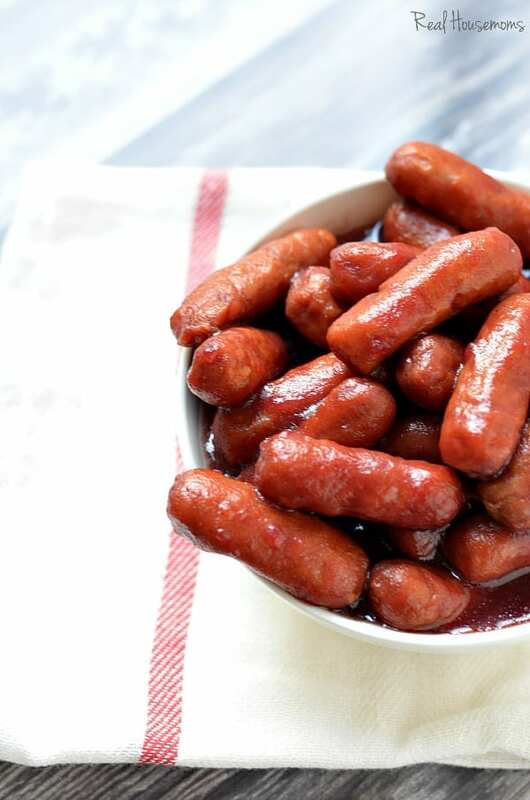 CROCK POT CRANBERRY AND SRIRACHA LIL’ SMOKIES are a quick and easy appetizer. Spice up your party this holiday season with with sriracha. This is definitely the time of year when I find myself making the most appetizers! I bring them to cookie parties along with the dozens of cookies and then there’s all the Christmas parties and New Year’s parties. In my family we have appetizers for dinner on Christmas Eve. We have our BIG dinner on Christmas day so the night before my Mom and I do not want to make a big dinner. So whatever appetizers we’re eating that night have to be super simple. That means make ahead, Crock Pot appetizers and cheese plates. I made these for a cookie exchange I went to recently and they were a hit! I held back on the sriracha and didn’t put in a lot. The measurement in this recipe will give you pretty mild smokies. If your guests can handle the heat, feel free to increase the amount of sriracha. Keep in mind that the sweetness of the cranberry sauce cuts down the heat level of the sriracha but add slowly and after it’s warmed up. That way you get an accurate idea of the heat level and no surprises when you serve it to your friends and family! 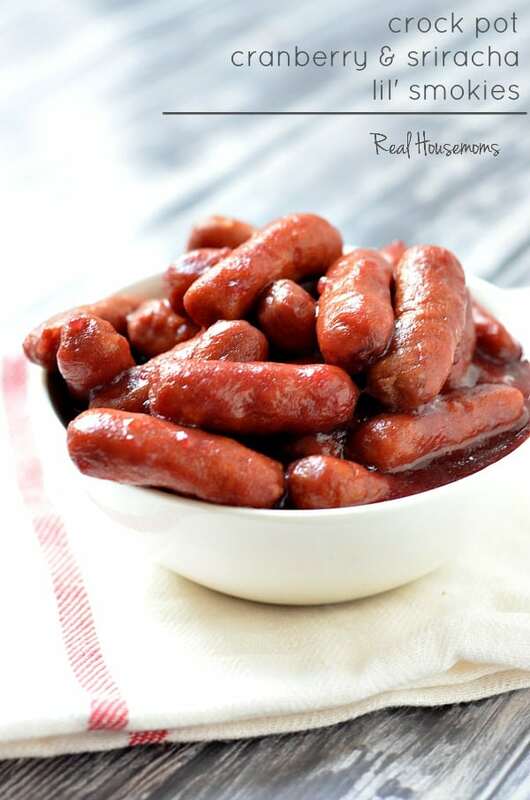 CROCK POT CRANBERRY AND SRIRACHA LIL' SMOKIES are a quick and easy appetizer. Spice up your party this holiday season with with sriracha. Do you use the jellied cranberry sauce or a homemade sauce? This sounds just like what I want to take to our church New Years Eve Watch Party! Thanks!! Great idea! I’d love this with chicken or turkey meatballs!